Getting a job is one of the best feelings you get to experience, the moment you get hired. But what about the other part of the equation? What happens when you want to quit the job, but do not want to burn that proverbial bridge. Of course, leaving the job is a process that will also involve a lot of mixed emotions, some hard to bid farewells and a new opportunity to step in. Yet, it is highly important that you leave your position with dignity. 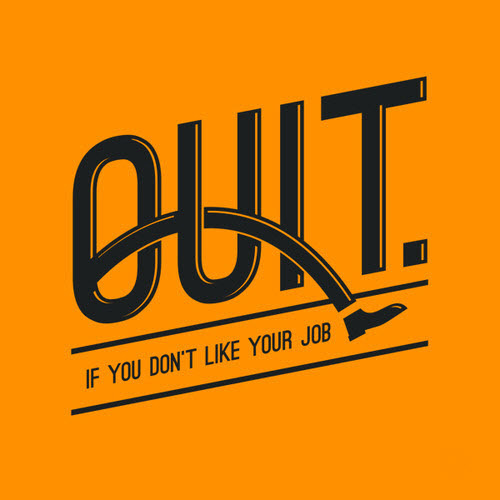 Follow these 5 easy steps and leave an impression while leaving your job with dignity! Though handing over the notice might feel like you are letting people down, it is very necessary that you give your notice in an utmost professional manner and as early as possible so that nobody has anything to worry about. Tell your boss the real reason of you moving on, in the most courteous manner possible. Give the company enough time to find a replacement for your role. When you have finally decided to quit the job, sit down for 5 minutes and take look back to the whole journey. Cherish the positive, joyful moments this job has given you and forget the knock-downs! After all, they are a part of life and your job and this is how you learn and grow. Rather than dwelling on the negatives, celebrate the new skills you have learned. Once you handed out your notice and resignation, you might just feel mentally off and inclined towards simply watching your time out from the company. However, it will simply piss you off and the company as well. Rather, wrap up your responsibilities, your communications with the clients, and pass on everything that has to be taken care of. During your tenure, you would have definitely come across people who have helped you to get closer to your goals and achievements. Hence, it is crucial that you be grateful to them and send a than you message. It is also important for you to hand over a thank you card to your employer so that he knows that you will always be a part of the organization even after quitting from the designation. During your final days of tenure, organize small parties, talk about the memories you have had in the organization, with the clients, colleagues, employer and every person associated. Celebrate in style and take the next step with dignity.